Click here to consult the complete provisional rankings. 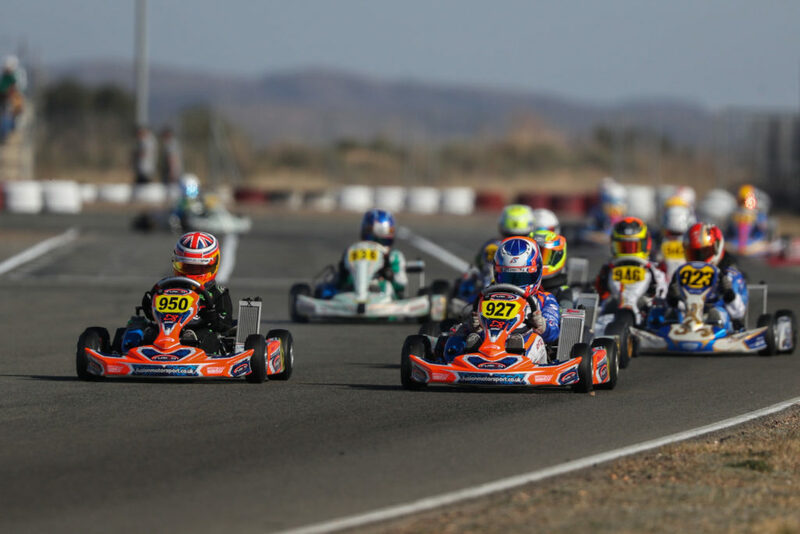 950,Robinson-lliteras Edu(N/A),Fusion motorsport(KART-REPUBLIC/X30/KOMET), 927,Slater Freddie(GBR),Fusion motorsport(KART-REPUBLIC/X30/KOMET), Valencia, 10 February 2019. IAME Euro Series, © 2019, Alexandros Vernardis / The RaceBox. 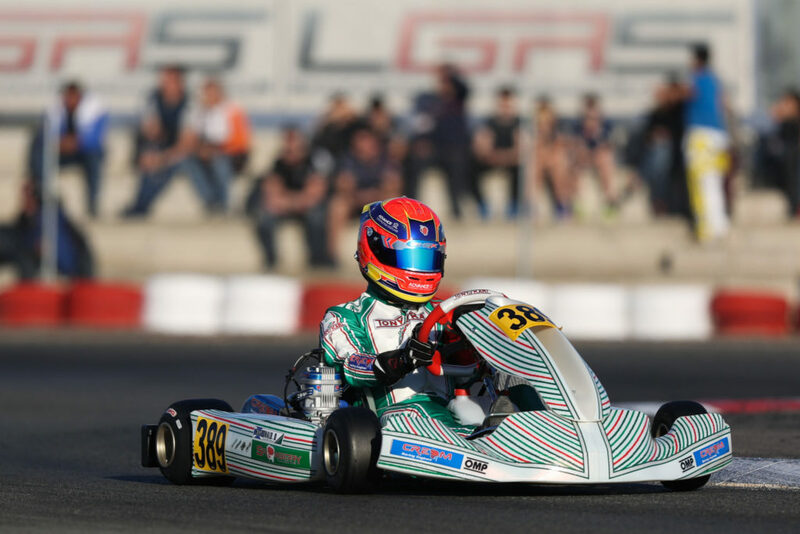 Oliver Bearman (KR-Sport) went through a strong Saturday performance-wise by winning all of his three Qualifying Heats to clinch Pole position for the Prefinal. A race, to define the grid hierarchy for the Final, that will see a powerful contingent of British drivers starting from the upper part of the grid. Apart from Bearman, the others include Daniel Guinchard (SFR Motorsport) in 2nd, Josh Rowledge (Strawberry Racing) in 3rd with two Heats won but a slightly-penalizing 7th-place finish, Zacharias Ripley (Evolution) in 4th and Liam McNeilly (Evolution) who recovered from a 34th-best lap time on Friday to enter the overall top 5! Despite setting up the best lap performance on Friday night, Eron Rexhepi (KR-Sport) will start from 6th, followed by Alex Ley (Coles Racing) in 7th in front of Ruben Volt (DHR), Oli Pylka (Dan Holland Racing) and Patrick Hakala (DHR). Ken Oskar Algre (Aix Racing Team) wasn’t able to convert his third-best lap time in Qualifying into positive results as he will kick off his day tomorrow morning from 16th. Oliver Gray (Dan Holland Racing) managed to win one race and will be 19th on the grid. Pole Position on Friday, four heat victories on Saturday and again Pole for Sunday’s Prefinal: Dean MacDonald (Strawberry Racing) has certainly not done things by half in the Senior class. The British driver will start tomorrow’s penultimate race alongside Leevi Lintukanto (Team Evolution) who managed to finish in the top-3 in four consecutive occasions. Only 12th-fastest on Friday, Mathilda Olsson (Strawberry Racing) found her way to the top-6 before winning her very last Heat to access the second row of the grid. She will try to keep her teammate Romain Leroux (Strawberry Racing) behind in 4th with Siim Leedmaa (AIX Racing) in 5th while Filip Vava (KR-Sport) concluded his day with 6th place overall. After both facing a difficult Qualifying where they only emerged with the 19th and 26th best-lap times respectively, last year’s class winner Clayton Ravenscroft (KR-Sport) and his fellow countryman Louie Westover (Dan Holland Racing) pulled it together to climb the field up to positions 7 and 8 on the grid. The top ten is completed by Daniel Macia (Praga Espana Motorsport) and Matias Salonen (Evolution). Among those whose day could have been better, Morgan Porter (M Sport), second-fastest on one lap yesterday, and last year’s Junior Euro Series winner Lewis Gilbert (KR-Sport) will start from 13th and 15th on the grid respectively after having both faced time penalties during one of their Heats. 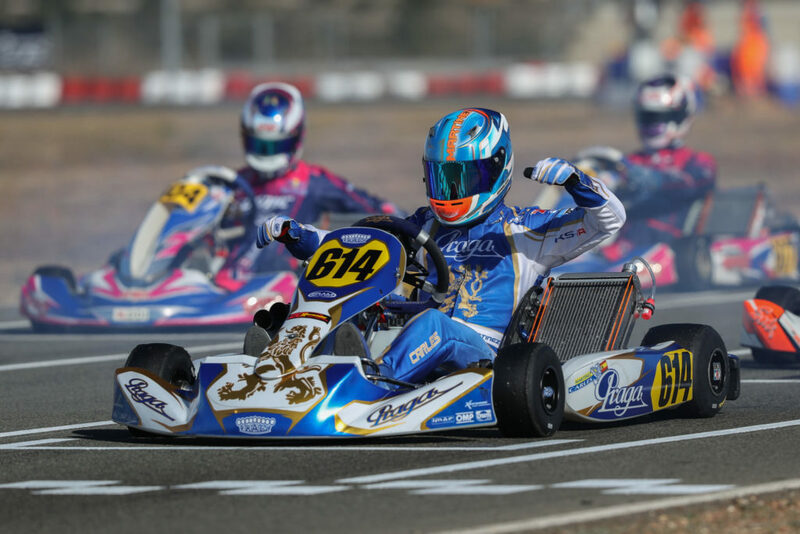 Isidro Gomez (Kart Republic Spain), despite a win in his first Heat, will be 16th while last year’s Junior Champions Cup winner Mari Boya (Monlau Competicion) will start from a distant 24th in the hierarchy. Other unexpected results concern Joey Van Splunteren (Super B), whose 32nd place in today’s classification makes him start 3rd in the Second Chance Heat where he will find reigning IAME International Final winner Joe Turney (KR-Sport) whose solo win wasn’t enough to recover from two earlier finishes out of the top-30. 614,Martinez Carles(N/A),Praga espana motorsport(PRAGA/X30/MG), Valencia, 10 February 2019. IAME Euro Series, © 2019, Alexandros Vernardis / The RaceBox. 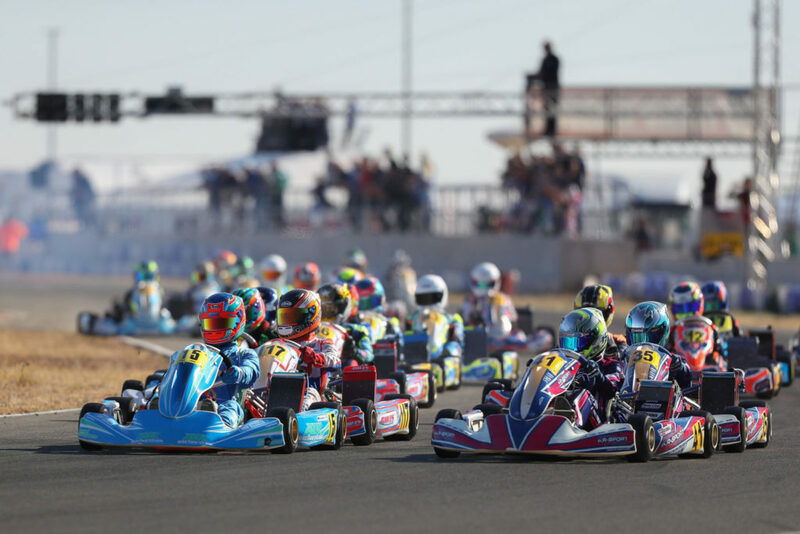 Click here to download the complete schedule of the event.To help you follow this year’s IAME Winter Cup by RGMMC, click here to access our special page with Live Streaming (by Telemundi Media) and Live Timing (by Apex Timing). Our reports are also published every day to keep you up to date with the results.